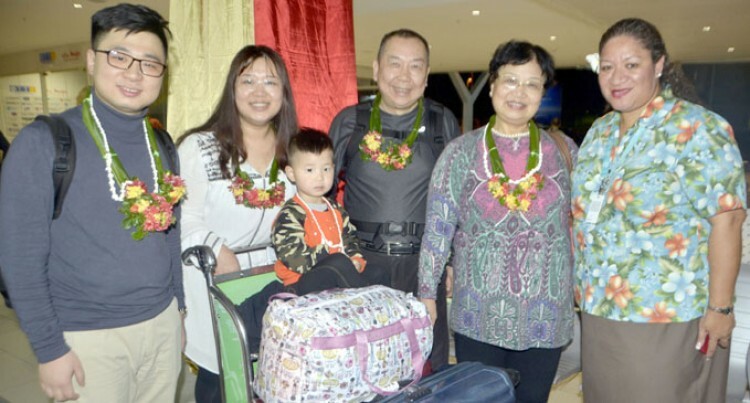 Rosie Holidays’ ongoing campaign to raise Fiji’s public profile in China’s lucrative outbound travel market has landed another first for the country with the announcement that an executive of China’s leading online travel company will be visiting Fiji. Duan Dongdong is the Vice President of Fliggy, the online travel company of the e-commerce colossus Alibaba Group, which is a global leader in online wholesale trade. Mr Duan will be in Fiji for four days undertaking a familiarisation of the Fiji Islands arranged by Rosie Holidays. Rosie Holidays managing director Tony Whitton said: “This is an important milestone for Fiji Tourism –alitrip.com is now China’s leading online travel company with 200 million users that transact on the site to purchase air tickets and holiday packages. “Last year the Alibaba group launched their new online brand Fliggy targeting the Chinese millennials, which is a market segment numbering approximately 385m upwardly mobile people between the ages of 20 to 35 years, looking for inspiring long haul travel destinations. “This is where Fiji comes in with connections from Hong Kong and Rosie’s own charter services from Shanghai, Beijing and Hangzhou, and with Fiji’s reputation as a pristine island paradise in the South Pacific, with a culture that is authentic and traditions that are rich and interesting. “Naturally we are excited by the prospects Mr Duan’s visit offers for the marketing of Fiji in China, and we are excited that Tourism Fiji will be finalising an MOU with Fliggy that will lead to the promotion and marketing of Fiji Airways and Fiji Holiday packages on their travel portal,” said Mr Whitton. Mr Duan will meet with the chief executive of Tourism Fiji, Matthew Stoeckelon to discuss opportunities for the organisations to work together. “Fliggy is a new player in the long haul online travel space in China, targeting the growing free independent traveller, and youth markets. “Discussions today have been very positive on the opportunity to market, distribute and transact Fiji Holiday packages on the giant alitrip.com platform. “We remain very focused on China as a priority long haul destination that last year saw a 23 per cent growth in visitor arrivals, welcoming close to 50,000 Chinese visitors to our shores to experience our culture, enjoy our fresh seafood and tropical fruits and interact with the happiest people in the world,” said Mr Stoeckel. Mr Whitton said: “The memorandum of understanding between the Alibaba Group and Tourism Fiji will pave the way for the creation of the Fiji Tourism Pavilion on the Fliggy portal. “In effect it will be the marketing platform which will drive Chinese travel consumers to the Fiji Pavilion to access information on Fiji, and book airline seats, resorts, tours and activities.